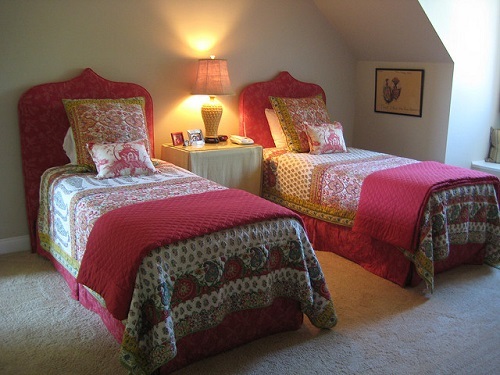 “Full” and “twin” are two categories of bed sizes or measurements. Bed sizes come in different dimensions depending on the area of the designated bedroom. The area or size of the bedroom basically indicates the size of the bed or, more specifically, the mattress. Full and twin bed sizes can be measured either by specific measurements or the capacity of the person occupying said mattress. The smaller of the two, the twin-size mattress, is also commonly referred as a single bed or standard twin. The usual measurement in length (from top to bottom) is 75 inches, while the standard width (from left to right) is 39 inches. The full or double-size mattress, in comparison, has the same length as the twin size (75 inches), but its width is 54 inches. Another main difference between the twin and full-size mattress is its capacity per person. A twin-size mattress can accommodate a single person; on the other hand, a full-size mattress can accommodate two persons per mattress since it has extra 15 inches compared to the twin-size mattress. Though two individuals can occupy a full-size mattress, the space can also be restricting for two persons (depending on their body size) and can result in a less pleasant or restless sleep. 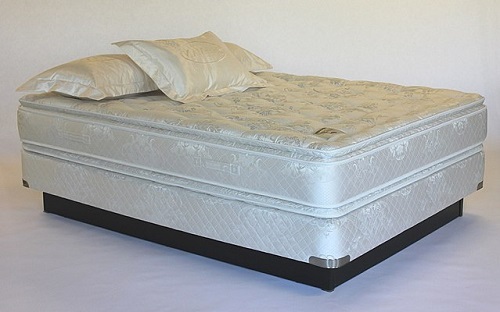 Since the full-size mattress is larger than the twin-size mattress, it is usually placed in a well-spaced room. A full-size bed mattress in a small room can restrict movement and space for additional belongings or furniture. The ideal size for small rooms or spaces is the twin-size mattress. It is also the favorable size for single-room bedrooms for children, and is also used for guest rooms because it is compact, light to carry, and leaves ample space for furniture, personal belongings, and personal space. Mattress bedding like sheets, coverings, duvets, and other sleeping items are available in many Home Depots, home improvement stores, and department stores in the home and living aisles. The most visible mattress bedding in retail stores is for the twin-size mattress since this bed size is a popular choice among homeowners. Aside from being the most visible, the twin-size mattress bedding is also cheaper since its size requires less material compared to a full-size mattress. Unlike the full-size mattress, there is an extra category in standard, twin-size mattresses. It is called the “extra long twin,” and it has some extra space for sleeping adults. The additional space is 5 inches in length, totaling 80 inches and making the mattress narrower compared to the standard twin size and full or double size. 1.The main difference between the full or double size mattress and twin or standard size mattress is the size or specific measurements. The full size is much larger and accommodates more space than a twin-size mattress. Both sizes are equal in estimated length (75 inches) but differ in width (53 inches for double/full size and 37 inches for standard twin). A variant of the twin or standard size, the extra-long twin, is narrower compared to the two sizes, with 80 inches in length. 2.Another major difference is the capacity of the bed. Twin or standard-size mattresses can accommodate a single person comfortably. On the other hand, a full or double-size mattress can have room for two persons on one mattress with a little difficulty in movement and comfort. 3.A standard-size mattress is also ideal for a small room or space, while a double-size mattress is better for a well-spaced room. Celine. "Difference Between Full and Twin (Bed)." DifferenceBetween.net. September 12, 2017 < http://www.differencebetween.net/object/difference-between-full-and-twin-bed/ >.